If you have plans to move to a new apartment in the near future, you’ve probably started thinking about the features and amenities you’re interested in having this time around. If you intend to rent a luxury apartment, then making sure it is a comfortable, upscale place to live is undoubtedly important to you. In this particular guide, we’ll be looking at the benefits that can come with choosing an apartment that has stainless steel kitchen appliances. First and foremost, if the unit you’re considering has stainless steel appliances, you can safely presume the building cares about its tenants and has luxury appeal. Typically, lower-end complexes don’t spend the money that is necessary to invest in stainless steel ovens, stoves, and refrigerators. This means the neighbors are likely to be pleasant, the maintenance staff is likely to complete tasks promptly, and you aren’t likely to have any serious problems while you live there. In today’s world, stainless steel reigns supreme in the appliance industry. If interior design matters to you, having an apartment with appliances that have stainless steel finishes will certainly be a major perk. Coming home to a place that has appliances you probably could have chosen yourself will not only make you feel more content but will also give you confidence in your personal style, which is always a good thing! If you are leasing a new apartment, there may come a time when you need to sublet the unit. Most metropolitan areas have competitive apartment real estate markets, so the more amenities and perks you can list, the better off you will be. Stainless steel appliances are a definite must-have for many potential renters and subletters, so advertising that your apartment has these premium appliances could help you relocate faster. As you begin your search for a new apartment in earnest, make a list of features that are priorities for you. This will help you avoid being swayed by sales agents who are simply trying to move units without taking your personal needs into account. 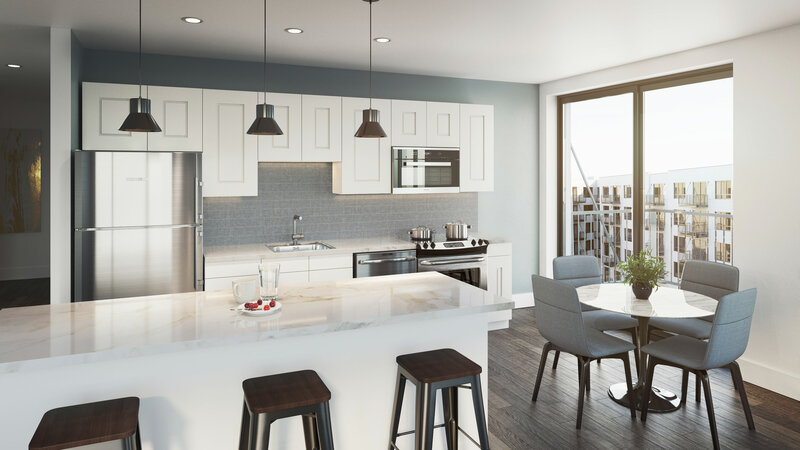 The more thought you’ve put into your needs and wants, like stainless steel finishes in the kitchen, the easier it will be for you to figure out which apartment is truly the best choice for you.